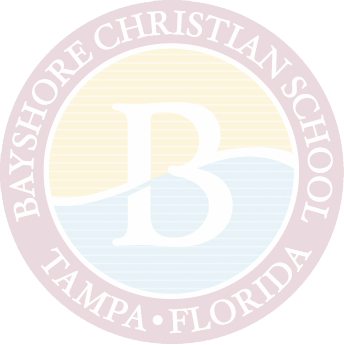 At Bayshore Christian Elementary School, we provide kindergarten through fourth graders a safe and secure environment where we value and respect our students. 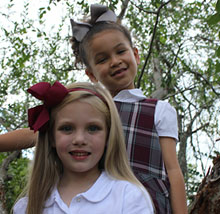 We believe each child is created with individual, God-given talents and abilities. Our desire is to instill a passion for life-long learning. Our elementary teachers are highly trained and credentialed educators who hold certificates through the Florida Department of Education. Each is committed to practicing Christian values in and outside the classroom. Kindergarten students learn the love of Jesus Christ in an educational environment that nurtures growth, spiritually and socially. We foster foundational academic skills to help each student achieve and become a successful learner throughout the educational years. 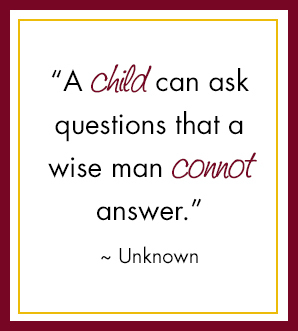 Kindergarten is an amazing time in a child’s life. We learn how to become successful, life-long learners. Integrating thematic topics in the curriculum, we study subjects in Bible, language arts, math, science, social studies, and handwriting. We develop spiritually as we learn how we can apply Christ’s teaching in our own lives and discover God’s love and the path to salvation through teachings in the Bible. Students develop language arts and literacy skills such as decoding words, concepts in print, fluency, comprehension skills, word recognition (sight word vocabulary), and writing conventions. Our first graders learn what it means to know Jesus and live for Him as they study the Bible. Utilizing a thematic strand approach, we focus on foundational teachings about nature, the character of God, and His church. In the first grade, we launch on an incredible journey of learning. Our students develop literacy as we systematically teach phonics, reading, writing, and penmanship skills. We build a foundation for understanding abstract mathematics concepts and learn how to apply these concepts to real-life situations. We explore our American history and encourage patriotism as we learn about God’s hand and guidance in the founding of our country. We discover the wonders of creation as we gain an understanding of God’s purpose for science. At the end of the school year, we showcase our explorations in a group science fair project. Second grade students learn to apply Biblical principles that help them throughout their lives as they develop spiritually, socially, and academically. We also learn about the Gospel Message and apply God’s Truths to our daily lives as we journey through the first six books of the Bible and study the life of Moses. Second graders read every day from books promoting Christian values and continue learning phonetic and writing skills as we develop language, grammar, and creative writing skills. We study United States history and employ creative methods to learn about all 50 states. Our math curriculum includes addition, subtraction, Roman numerals, measurement, graphs, grids, place value, fractions, word problems, rounding, estimating, time, adding coins with paper money, basic conversions, and multiplication and division. We also enjoy participating in the school Science Olympics and the science fair. Third graders will gain an understanding of the love of Christ for them as they develop the tools and skills to be successful students for life. We walk through the life of Jesus in the Bible and learn to apply Biblical principles to everyday life. We become family; we care for and pray for each other. We teach the important, lifelong skill of reading comprehension as we practice key reading strategies and develop the skills to become better communicators. In mathematics, we establish the foundation of multiplication and division and apply math concepts to real-life scenarios. We discover American history through the eyes of famous Americans in each time period. In third grade, we learn how to work in groups. We study the scientific method and apply these steps in our annual Science Olympics and the science fair. We learn valuable life lessons in our classroom economy. Students in fourth grade challenge themselves and give their personal best. They understand we all have different qualities that make us unique and learn how to appreciate all the differences we share. We learn the gospel and understand how we can apply God’s Word to daily life. We challenge our fourth graders to apply what they learn to new concepts and projects. We integrate technology into lessons and teach the students how to use it for research, presentations, and organization. We create a classroom economy in order to teach economic concepts, apply math curriculum, and gain life skills. We tie the past to the present through our Florida history studies and develop a love for reading as we explore different genres and apply reading comprehension strategies. In mathematics, we delve into long division, fractions, decimals, and practical applications in word problems. In the language arts, we apply our knowledge of the parts of speech and correct punctuation to expository, persuasive, and narrative writing. We challenge the students in science as we apply science inquiry to our school-wide science fair and elementary Science Olympics. We are passionate learners exhibiting an enthusiastic interest and eager involvement in academic pursuit. Our master teachers set the stage for hands-on learning. We focus on essential core knowledge: reading, writing, grammar, math, science, social studies, and Bible. We enhance classroom academics by going places and doing things! We enjoy trips to places like MOSI, Lowry Park Zoo, Busch Gardens Zoo School, and many more. Visiting authors, politicians, civil servants, historical re-enactors, and community leaders bring real-life relevance to our campus. We offer weekly enrichment classes in physical education, vocal and instrumental music, visual arts, computer, Spanish, and media center. Our young learners demonstrate their Christian faith through their actions as they participate in service-oriented projects for the benefit of our community and world. Our young artists reach for the stars! Performing arts students participate in drama, vocal, and instrumental performances. We offer before and after school care and enrichment programs including dance, Christian Karate, Mad Science, robotics, and Clay Club.